Home » Blog » Selling Advice » How Long Does A House Sale Take? Selling a house can be a daunting process, especially if you’re looking for a new home at the same time. From finding the perfect estate agent to deciding which offer to accept, there are so many important decisions that you have to make when selling your home. However, one thing you can’t control is how long it takes to complete a house sale. This blog looks how long a house sale takes on average, breaks down the selling process and lists the factors that can impact how long it takes to sell your home. On average, it takes six months to sell a house. It generally takes two months for a homeowner to find their ideal property, two to three months from contract to close and a month to finalise the move. With an ideal sale process, freehold properties can be sold in as little as six weeks, while leasehold properties generally take longer at eight to ten weeks. The length of time it takes to sell a house can vary as a result of a fluctuating property market, long conveyancing process or lengthy house chain. How long it takes to complete a house sale increases significantly with a property chain. A property chain is created when there are multiple house purchases linked together, each of which become reliant on the preceding and succeeding transactions. If you already own a property, it’s likely you will need to sell your current home before you can purchase a new one. There is no limit to how long a property chain could grow and if it breaks, selling a house could take a few weeks or even months. Before you list your property for sale, you need to let your mortgage provider know that you’re considering selling and find out if there are any penalties for paying off your mortgage early. Make sure that you’ve listed your property before you start hunting for a new house, or else you’ll risk finding your ideal home and losing it while you wait for your current property to sell. Finding an estate agent that can give you honest advice and has clear communication skills will help during the conveyancing process. You should get multiple valuations done on your property prior to listing it to establish a reasonable asking price. Once you’ve listed your property, you should start staging your home to attract potential buyers, focusing on curb appeal and bettering the general condition of the property. Be sure to negotiate any offers you receive, as some buyers will offer less than they’re willing to pay. Once you’ve accepted an offer, the buyer will instruct a solicitor to process the legal work necessary to transfer the house into their name and a surveyor to survey the property for problems. Their mortgage lender will insist the property is valued, as they will want to make sure it is worth the amount the buyer is asking to borrow. If the survey shows major repairs or maintenance, you may need to lower your price to accommodate these issues. Once you’ve negotiated the terms of the sale with the buyer, the final contract will be finalised and exchanged. It’s important to make sure that you’re happy with the contract before signing, especially if the buyer has made several amendments, as both you and the buyer will be legally bound to complete the sale after this stage. Once the contracts have been signed, you must vacate the property in the time you agreed with the buyer. Completion typically takes place two weeks after the exchange of contracts and involves money being transferred by the buyer’s solicitor and mortgage lender to you. Your mortgage provider will have given you a precise redemption figure for your mortgage due on completion day, including any fees for paying it off early. You’ll also have to pay your solicitor fees. Although it’s impossible to state the exact length of time it will take to sell a house, a well-priced home will receive more offers and complete a sale far quicker than properties with unreasonable asking prices. The longer a house stagnates on the property market, the less likely it is to receive offers, as buyers will question why it has been listed for so long. Understanding the factors that can impact how attractive your property will be to buyers will help you sell your home faster. Property market: A major factor that you can’t control is your local housing market. Housing markets tend to fluctuate between shortage and surplus and are massively affected by supply and demand. If there’s a surplus of similar homes for sale in the area, your property will stand out less to potential buyers. The ideal market to sell in is a sellers’ market, which occurs when there are lots of willing buyers looking for a new home. In a buyers’ market, sellers need to competitively price their homes to avoid it sitting on the market indefinitely or postpone the sale until the market improves. Location: Where your property is located can have a massive impact on how quickly and how much it sells for. Homes can achieve significantly different offers based on their location-specific conditions including traffic, local amenities, parking, foreclosures and how many similar properties are also for sale in the neighbourhood. Your asking price should reflect whether your house is located in a desirable location or not. Condition: Most buyers don’t want to purchase properties that will require extensive repairs or maintenance once they move in, so avoiding rectifying any issues before you list it for sale can significantly impact the price you get for your home. It’s a good idea to have multiple valuations carried out on your home before you decide on an asking price to avoid disappointment. If the buyer’s surveyor finds any problems during the conveyancing process, you may be asked to lower the property price. 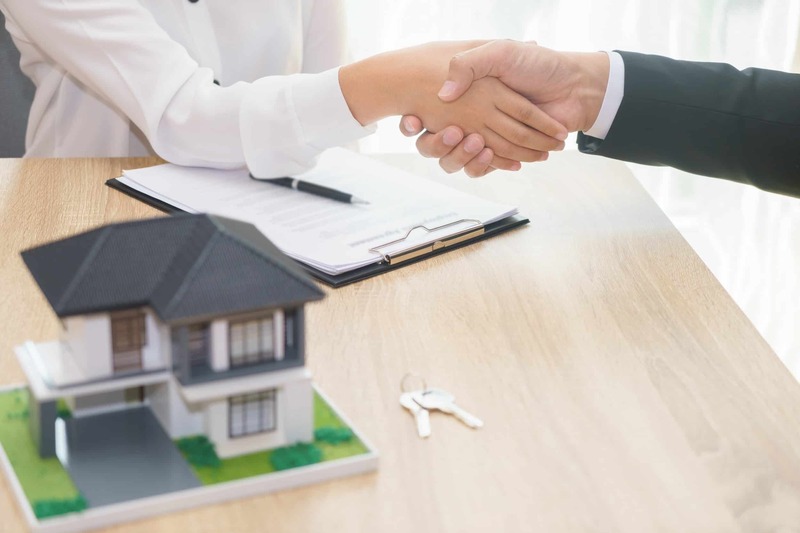 Selling your home can be a frustrating and drawn-out process, with factors like an uncertain property market and lengthy conveyancing process contributing to the stress. If you don’t want to wait six months to sell your home or you want to secure a guaranteed buyer, our quick and easy property buying process here at Good Move can help. We will buy your property for up to 85% of the market value with cash, completing the sale in as little as two weeks. If you’re wanting to sell your house fast, contact our experienced professionals at Good Move today.